One of the advantages of adopting a dog vs. a puppy is that the adult dog is already housetrained. However, many dogs that enter rescues or shelters have never been allowed indoors, and will need to learn basic house manners and housetraining. While the principles are the same for an adult dog as they are for a puppy, it is often much easier to train a dog or an older puppy who is old enough to have developed bladder control. In addition, the adult dog and older puppy have longer attention spans and are more readily able to learn the principles you are teaching them. Housebreaking is often the first attempt at training you and your dog will make. It is very important to use careful thought and obtain accurate information prior to working with your dog. Incorrect technique, excessive, harsh and ineffective punishment may lead to behavioral problems later. It is crucial that you work to control your own emotions and remain calm while training. Set realistic goals, and give it time. Front or back yard? Not only is it easier to clean up one area, but your dog will learn which door to use to go outside to do his "business". Do not free feed your new dog. Not only does this promote unhealthy weight gain, but it also makes housetraining more difficult as you cannot expect when your dog may need to eliminate. Most dogs will need to defecate following a meal, and by designating feeding times you can anticipate when he will need to go outside. So, when should you feed your dog? Most veterinarians recommend feeding large dogs twice a day. This helps to prevent over-filling of the stomach, which is thought to predispose dogs to "bloat," a painful and often fatal gastric torsion. Feeding twice a day also gives your dog something to look forward to. If you work or leave the house in the morning, set the A.M. feeding early enough to allow you time to walk your dog or make sure he/she has eliminated. The evening meal generally should be fed no later than 6pm, with 4pm preferred. This allows ample time for digestion to occur and helps your dog to be able to do a last "doodle" before going to bed. If you find your dog leaves you a pile during the night, chances are you are feeding too late in the evening. If you are training a puppy, it is often helpful monitor fluid and water intake. Don't leave the bowl down, but instead, offer water at regularly scheduled intervals – usually every 1 1/2 to 2 hours. 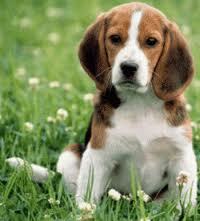 Take your dog outside after each meal and after each time water is consumed. Ever hear someone talk about potty training a young toddler? People will often say that Mom is actually the one trained, and to a certain extent, that is true. Mom knows if she takes Johnny to the potty on a regular schedule, she will build his confidence and prevent accidents from happening. The same principles apply to housetraining a dog or a puppy. 4. Praise, praise, praise – and reward! One of the best ways of helping your dog understand that he is successful in accomplishing what you've asked is by rewarding him or her with a treat. When Rover toilets outside, take a handful of treats with you and reward him with a little snack and lots of verbal praise for each success. Play with him for five or ten minutes afterwards, which is an extra reward in and of itself for your dog. Additional training can also be incorporated into these sessions. Your dog will soon look forward to going outside to potty if you apply these principles. 5. Watch out for the excited pooch! Over excitement (such as new visitors, a new, fun toy or other distractions) can cause your dog to forget his new training. Help him or her by scheduling potty times after these events to prevent accidents in the house. In the beginning, do not allow your dog free access to the house unsupervised. Consider using an X-pen or crate, or better yet, use baby gates to section off rooms of the house. If Rover voids and you do not catch him in the act, scolding later will be futile. He will not associate your displeasure with his action. The best way to keep this from happening is to supervise him when indoors, and keep him in sight at all times. If he begins to have an accident IN YOUR PRESENCE, yell "NO!!!!" Then immediately and in a cheerful voice say "Rover, OUTSIDE!!" When he finishes outdoors, then reward and praise. Even though he began to go in the house, if he completes the act outside he has done what you've asked and should be rewarded with lavish praise. Never, ever hit your dog for voiding in the house or rub his nose in his puddle. A simple but loud verbal correction is sufficient, and your dog will respond much more rapidly to praise and motivation than he will to harsh scolding which he will not understand. Is a crate the right tool for you? Different people have varying opinions on the use of crates. However, used correctly, crates are wonderful training tools, especially at night when you cannot observe your dog. In addition, many dogs feel secure in crates, just as their wolf ancestors used dens for comfort and security. Ever see a dog sleep under the bed, a table or other piece of furniture? They like the privacy and security of an enclosed space. Besides offering your dog security, the crate has an added benefit – dogs do not like to soil in their sleeping area. 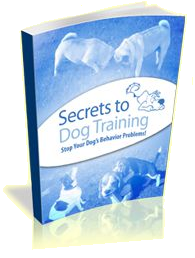 This will greatly assist you in housetraining your dog. Most dogs will not mind the crate at all if kept near you, by your bed – this allows them quiet companionship with you, his owner, and helps the bonding process. If you do not want to crate train Rover, you may opt to use a leash instead. You can attach it to your bed, keeping your dog near you at night and limiting his space. An X-Pen also accomplishes the same goal. Whatever you decide, it's important that in the early stages of housetraining that your dog's space be limited when not observed, and especially at night. 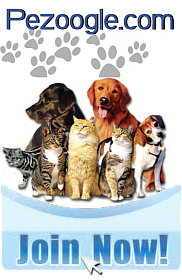 There are many products sold in pet stores that were designed specifically for cleaning up urine and feces. These products have enzymes which neutralize the odor and prevent resoiling of the area. Do not products containing ammonia, which will only accentuate the odor and may cause your dog to continue to void or defecate in the same areas. Nice words on cats. The information was clear and interesting at the same time. Fantastic work with the article about parakeets. Great introduction and information on animals. Thanks for the good write-up on the post on puppies. For the stairs you definately want to have a metal gate.I would go to a safety store in your area and speak to a professional about the different options that there are. They’ll reccommend some gates and then you can shop around for the product that they reccommended.Check places that specialize in baby proofing.Good luck! How can I find more information about dogs?